Last updated 13 March 2019 . By Olivia Cheves. 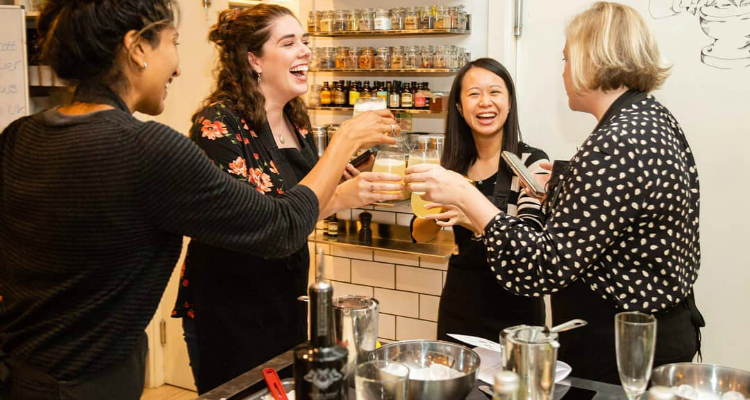 Get boozy while you bake at this quirky cookery class. If you’ve ever woken up on a Saturday morning and thought, “I would like to spend this morning both eggless and legless”, then The Avenue Cookery School officially has all bases covered. Amongst the school’s many classes, that run from pasta-making and sushi sessions to 70’s dinner parties and 90’s Hip Hop offerings, they’ve also bolstered their vegan options, starting with their bottomless vegan brunch class - so we went down to get a little plant-based with them. I’m rocking up solo to their Wandsworth kitchen, which is somewhat intimidating once I realise that everyone else has come as a pair. Luckily, the Avenue School staff are on hand to keep you occupied with chat and alcoholic offerings to make sure you’ve had enough personality drinks to converse with whoever you’re sharing a station with. The menu is set out simply in a talk-through from one of the chefs - we’ll be cracking on with a crunchy granola and tofu French toast with smokey ‘bacon’. You won’t have to show off any knife skills in this class - probably for the best given its ‘bottomless’ element - as ingredients come ready sliced, crumbled and julienned for you. 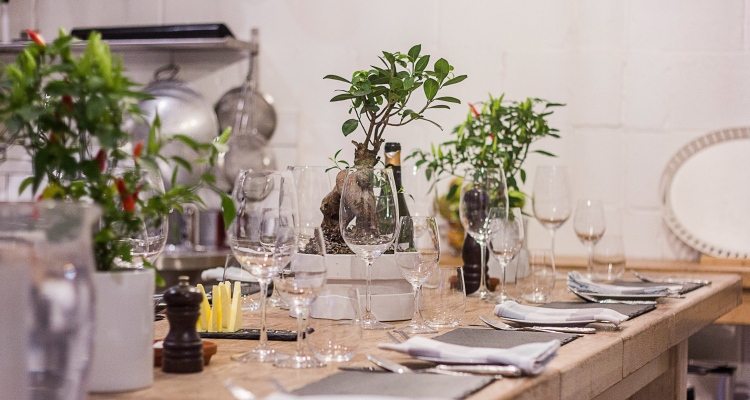 The Wandsworth venue boasts both a kitchen area and dining table for enjoying your creations. We dive straight in with the granola which involves adding golden syrup and oil to a mixing bowl of oats, pecans, coconut and seeds, which is then bunged in the oven for an hour of roasting. Next up we’re on to the French toast and smoky aubergine ‘bacon’. The ingredients list reads a bit like a roll call of your ex-boyfriends: silken tofu, plant-based milk, a thick slice of old bread, alongside vegan butter, vanilla extract and maple syrup to sweeten the deal. After blitzing all the wet ingredients into a gooey, vanilla-scented sludge, the old loaf is submerged and left to soak it up while you move on to your ‘bacon’. Mixing up soy sauce, golden syrup and liquid smoke, you brush your aubergine and leave to soak up the flavours, before deep-frying it, while simultaneously getting your French toast into a hot pan. Once the fake bacon is fried and the French toast flipped onto the plate, it’s time to settle down around one of the communal tables and enjoy the spoils of your efforts - and make the most of that free-flowing fizz. Perfect to tackle as as a duo or team activity, The Avenue Cookery School’s bottomless sessions offer an altogether more enlivening way to take on the good, old-fashioned cookery class. Tickets for the Vegan Brunch Club start from £49 and run from 10am-1pm at the Avenue Cookery School, 3 Enterprise Way, Wandsworth, London, SW18 1FZ.